What is a "relo"? A relo is a home sale that is completed with the help of a relocation firm. These firms are hired by companies to help their transferred employees move. A relo firm might help the transferred employee hire movers and find a rental home. If the employee is a homeowner, the relo firm might help the employee sell the old home. Sales assistance is done in two stages. For the first few months the home is on the market, the house usually remains in the employee's name, with the relocation company providing advice on pricing and marketing. If the home isn't sold during that period, the employee's company may totally or partially buy out the property, freeing the employee to buy a home in the new location. After the employer buys the house, the relocation company becomes the chief party in sale negotiations. And once the company takes over, the buyer has a complete advantage because they're dealing with a seller who has no emotional attachment to the property, and would just like to earn back what they spent on acquiring it. Are these relo properties cheaper? While relocation sales don't necessarily translate into fire-sale prices, buyers can count on the home to be fairly priced for its market. Usually, companies who uproot and transplant their employees want to dispose of the property as soon as possible, making only what they spent to acquire the property and nothing more. This means that each and every home that's up for a relocation sale, is for a buyer's taking. Relocation properties also tend to be in good condition because most relocation firms recommend needed repairs or do the repairs themselves. Price negotiations may take longer. With normal home sales, the back-and-forth on pricing can last just a few hours as sellers and buyers hurriedly consult with their real-estate agents. But relocation firms typically operate during business hours and might not be available to respond to a weekend offer until Monday. Get pre-approved for financing. Buyers are always advised to line up their financing before they start looking for homes, but it's especially important when buying a relo property. Prospective buyers need to show that they are prepared and are in a good position to buy. Sell your old home first. If you need to sell your current home before buying another, you should take care of that before trying to buy a home being sold by a relocation firm. 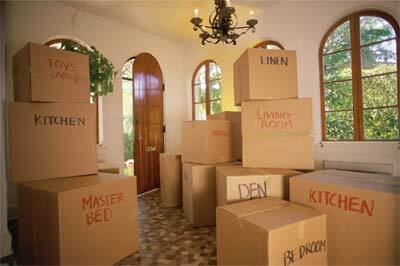 The relocation firms often want a nice, contingent-free, clean sale, if at all possible. If your current home is under contract with a buyer but has not closed yet, that's usually acceptable, but be prepared to provide copies of your sales contract and other important information on the expected closing date. Be prepared for more paperwork. Relo sales typically require buyers to sign additional riders and amendments to minimize the relocation company's liability. Usually, this translates to having double the number of pages in the contract, as well as exaggerated amounts of signatures. Whatever your preference of home is, relocation sales usually occur during months of high employee turnover, specifically right before winter until the weeks leading to Spring, as most businesses hire and transplant new talent in the first half of the year, coinciding with their fiscal calendar. In Boston, most of relocation sales happen in and around the outlying neighborhoods. More often than not, these include properties in and around Cambridge, Somerville, Seaport District, and Newton.